Consider the possibility that the hair on your head is there to do more than just look good. Man is the only creature who grows longer hair on his head as he grows into adulthood. 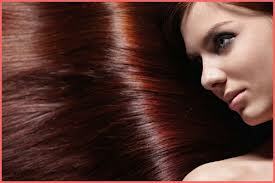 Left uncut, your hair will grow to a particular length and then stop all by itself at the correct length for you. From a yogic perspective, hair is an amazing gift of nature that can actually help raise the Kundalini energy (creative life force), which increases vitality, intuition, and tranquility. Long ago people in many cultures didn’t cut their hair, because it was a part of who they were. There were no salons. Often, when people were conquered or enslaved, their hair was cut as a recognized sign of slavery. It was also understood that this would serve as punishment and decrease the power of those enslaved. The bones in the forehead are porous and function to transmit light to the pineal gland, which affects brain activity, as well as thyroid and sexual hormones. Cutting bangs which cover the forehead impedes this process. When Genghis Khan conquered China, he considered the Chinese to be a very wise, intelligent people who would not allow themselves to be subjugated. He therefore required all women in the country to cut their hair and wear bangs, because he knew this would serve to keep them timid and more easily controlled. As whole tribes or societies were conquered, cut hair became so prevalent that the importance of hair was lost after a few generations, and hairstyles and fashion grew to be the focus. The science of hair was one of the first technologies given by Yogi Bhajan when he came to America. 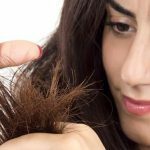 Yogi Bhajan explained that if you choose to cut your hair, you not only lose this extra energy and nourishment, but your body must then provide a great amount of vital energy and nutrients to continually re-grow the missing hair. In addition, hairs are the antennas that gather and channel the sun energy or prana to the frontal lobes, the part of the brain you use for meditation and visualization. These antennas act as conduits to bring you greater quantities of subtle, cosmic energy. It takes approximately three years from the last time your hair was cut for new antennas to form at the tips of the hair. In India, a Rishi is known as a wise one who coils his or her hair up on the crown of the head during the day to energize the brain cells, and then combs it down at night. A ‘rishi knot’ energizes your magnetic field (aura) and stimulates the pineal gland in the center of your brain. During the day, the hair absorbs solar energy, but at night it absorbs lunar energy. Keeping the hair up during the day and down at night aids in this process. 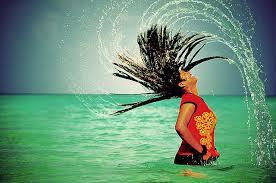 Braiding your hair at night will help your electromagnetic field balance out from the day. 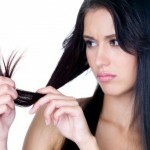 Loose scattered hair can develop split ends. Instead of trimming them and losing your antennas, Yogi Bhajan recommends applying a small amount of almond oil to your hair overnight so that it can be absorbed before you wash it the next morning. Keeping your hair coiled on your crown and protected with a head covering during the day will help your antennas heal. If you have long hair, see if your experience is different when it is clean and coiled at your crown, or down and loose. One year after Winter Solstice, when Yogi Bhajan was sitting in our living room with wet hair, he explained that he was drying it before putting it up in order to avoid a headache. When you put your hair up wet, it will tend to shrink and tighten a bit and even break as it dries. A better idea is to occasionally take the time to sit in the sun and allow your clean, wet hair to dry naturally and absorb some extra vitamin D.
Yogis recommend shampooing the hair every 72 hours (or more frequently if the scalp sweats a great deal). 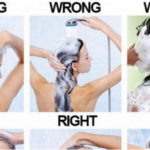 It can also be beneficial to wash your hair after being upset to help process emotions. Yogis also recommend using a wooden comb or brush for combing your hair as it gives a lot of circulation and stimulation to the scalp, and the wood does not create static electricity, which causes a loss of the hair’s energy to the brain. You will find that, if you comb your hair and scalp front to back, back to front, and then to the right and left several times, it will refresh you, no matter how long your hair is. All the tiredness of your day will be gone. 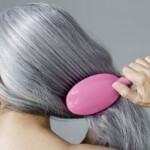 For women, it is said that using this technique to comb your hair twice a day can help maintain youth, a healthy menstrual cycle, and good eyesight. If you are bald or balding, the lack of hair energy can be counteracted with more meditation. 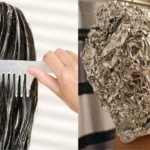 If you are finding some silver strands in your hair, be aware that the silver or white color increases the vitamins and energy flow to compensate for aging. For better brain health as you age, try to keep your hair as natural and healthy as you can. Yogi Bhajan told us this story about hair many years ago at Women’s Camp in New Mexico: Recognize how beautiful and powerful your hair is—when you keep it, you live a life of fulfillment in this world. When Rabindranath Tagore, the great poet who found God within himself, tried to meet a friend on a steamer ship, the friend didn’t recognize him and so wrote him a letter. When humans allow their hair to grow, they are welcoming the maturity, the responsibility of being fully-grown, and fully powerful. That is why you will find grace and calmness in a person with uncut hair from birth, if it is kept well. The Creator has a definite reason for giving you hair.